Click here to see the 2017/2018 Douglas County Snowmobile & Winter ATV Trail Map! Douglas County’s more than 300 miles of groomed snowmobile and winter ATV trails entice thousands of outdoor enthusiasts each year — and there’s no questioning why. Our trails are kept in great condition, you’ll meet lots of friendly people along the way, our trailside businesses welcome sledders and four-wheelers with open arms, and our winter scenery is second to none. The Tri-County Corridor connects Ashland and Superior, parallel to the north side of US Highway 2, passing through beautiful forests. Other notable trails passing through Douglas County include the Gandy Dancer State Trail, the Saunders State Trail, and the Wild Rivers State Trail. Please note that portions of the Saunders State Trail may be closed or under construction due to 2018 flooding. Please use caution. The City of Superior recently opened a number of new routes for winter use trails. These trails connect the Gandy Dance Trail to the Wild Rivers Trail and Tri-County Corridor. The City is in the ongoing process of erecting the signage required. To see a series of maps detailing the City routes, please click here. Trails and conditions are always changing. Be sure to stay up-to-date on conditions before heading out on the trails by visiting our Recreation Reports page. You can also call the Douglas County Trail Hotline 24 hours a day, seven days a week at 715-378-4528. 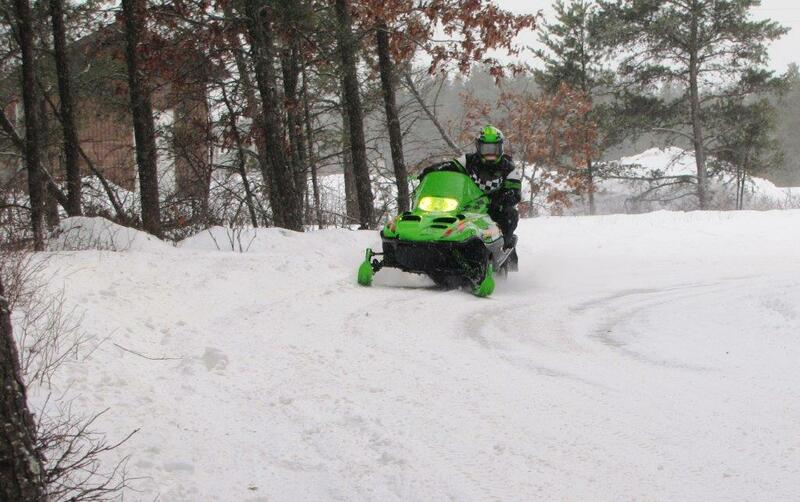 For more information about our winter snowmobile/ATV recreational trail system, click here. Don’t just come up to hit the trails for a day — make a whole weekend or even a week of it! Click here to see many lodging options with trail access. You’ll also find that many of therestaurants in Douglas County are right on the trail, and are snowmobile-friendly!